Are you an X-Men fan who doesn’t have time to hunt down single comics from a story spanning fifty years and thousands of issues? Many of those single issues are collected into omnibuses, hardcovers, and trade paperback (“TPB”) graphic novels. Figuring out which books to buy and in what order turns out to be a very complex task – half research project, half detective novel. I’ve taken the work out of it for you. This guide can help you figure out the right collection to buy no matter what run of X-Men comics books you’re looking for. It contains titles, issue ranges, ISBNs, and links to every modern X-Men collection. I also break down the major characters and creators for each group of issues. If you’re looking for the core or most-important books, you probably want to skip right to start of Uncanny X-Men, which is the flagship X-title launched in 1963 and the heart of most X-Men stories. Astonishing X-Men, Vol. 3 picked up from Grant Morrison’s New X-Men with an award-winning run from Whedon/Cassaday, followed by a more sci-fi take from Warren Ellis. Amazing X-Men debuted at the end of 2012. The various solo incarnations of Rob Liefeld’s most enduring characters, who have over a dozen different series between them. The Britain-based adventures of all teams named “Excalibur,” as well as solo titles and major appearances of their customary leader. The cross-dimensional adventures of this alternate-reality team don’t typically have a bearing on the main X-continuity. Two titles about young mutants that launched directly from major crossovers – but the similarity ends there. He was Marvel’s first anti-hero, and now he’s being billed as the first mutant! Namor’s connection to the X-titles is new, but his history dates back to the 1940s – with plenty of collections along the way! The younger, more scholastic side of X-Men launched in the 80s and has a through-line to the present day with All-New X-Men. Note that Grant Morrison’s New X-Men is listed with X-Men, Vol. 2. X-Men/Avengers hybrid titles launched in the wake of Avengers vs. X-Men. 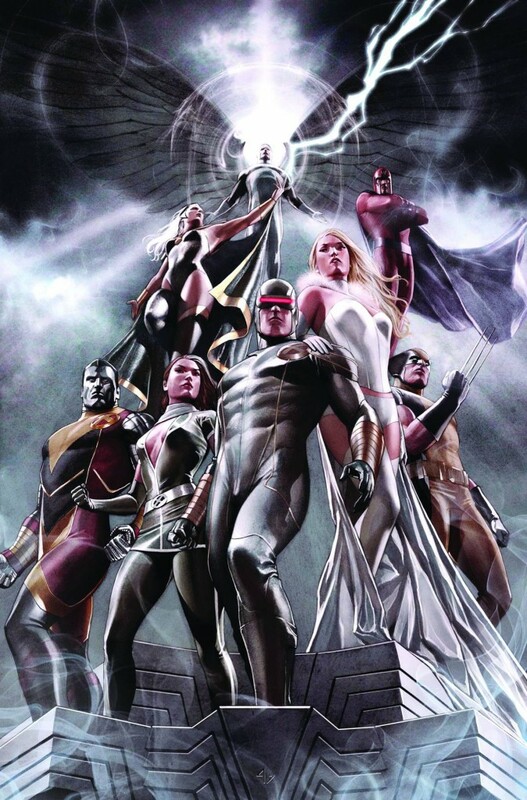 Uncanny X-Men, the flagship title of the X-Universe, most major developments of the X-Men happen here. The many collections of Marvel’s most famous mutant in his many solo series and anthology appearances. Includes original X-Men reincarnated in the 1986 series, Peter David’s 2004 iteration helmed by Jamie Madrox, and a 2014 reboot as All-New X-Factor. Originally a more proactive New Mutants, eventually X-Force descended into tongue-in-cheek farce with X-Statix before the more militant X-Force returned as a major core title. X-Men, Vol. 2, Marvel’s second X-flagship, was launched by Claremont/Lee in 1991. It was rebooted by Grant Morrison in 2001 as New X-Men, and transformed to X-Men Legacy in 2008 with issue #208. In 2010 Marvel launched a third X-Men flagship focusing on showing how the X-Men interact with the rest of the Marvel Universe. The title was relaunched in 2012. Previously known as X-Men, Vol. 2, X-Men Legacy focuses on a smaller cast of characters with a single-character focus – first Xavier, then Rogue, and now Xavier’s son Legion. The 2001 Claremont/Larroca title featured a Storm-lead, globe-trotting team. The 2012 Grek Pak version featured Exiles-style alternate-reality tales starring Dazzler. Other X-Men Regular Series – If it’s an X-Men ongoing series not included above, it’s on this page! Learn how you can collect titles including Alpha Flight, Bishop, Daken, Dazzler, Gambit, Mystique, Rogue, Nightcrawler, and X-23. X-Men Mini-Series & One-Shots – The only place on the internet that catalogs the constant stream of X-Men limited series, from the 1980s to present. Marvel Universe Events – Marvel has executed regular line-wide crossovers ever since Secret Wars, and they frequently center on our favorite merry band of mutants. Find out how the X-Men were involved in each event, and make sense of the main story without buying every comic involved. The Avengers are Marvel’s other flagship team, and they have close ties to the X-Men. This guide includes every ongoing title with “Avengers” in its name, plus the titles of its individual members. The Fantastic Four are not mutants by birth, but they were the progenitors of the team-as-family comic and their children are mutants thanks to their cosmically irradiated genes!